The JIC/TSL is the world-leading research centre for plant and microbial science, based on publication citations over the last 10 years. In addition to foundational research, it makes a major contribution to global agriculture and commercial innovation. Synthetic Biology underpins many future initiatives at the JIC, and the proposal will strengthen important synergistic links between Norwich and Cambridge. The OpenPlant proposal is supported by funding of metabolic analysis and plant growth facilities (£2M), as well as provision of equipment, laboratory space, staff and studentships. The University of Cambridge has an exceptional record in promoting major advances in foundational research, and commercial innovation. The last few years have seen heavy investment in plant molecular sciences in Cambridge (over £150M). Synthetic Biology has been identified as an area of the highest importance to the University, and in addition to recent academic appointments, support will be provided for refurbishment and housing of an OpenPlant Lab, studentships and funding of pump-prime research, corresponding to a package of £4.2M in support of the OpenPlant proposal. The Earlham Institute is a research institute focused on the application of state of the art genomics and bioinformatics to advance plant, animal and microbial research to promote a sustainable bioeconomy. It is a hub for innovative bioinformatics founded on research, analysis and interpretation of multiple, complex data sets. We host one of the largest computing hardware facilities dedicated to life science research in Europe. Earlham is committed to the open sharing of data and tools, and sees the Open Plant initiative as a unique opportunity and focus for the development of computational and systems biology approaches relevant to plant synthetic biology. This is an area where the UK scientific community has demonstrated leadership in the past. Autodesk are the major international supplier for high-end CAD and 3D design software. In a new initiative, they have been supporting the development of software for design in bionanotechnology. Autodesk recognises the potential of improved tools for visualisation and modelling of multicellular systems, and their need for engineering of plant systems. Autodesk can provide OpenPlant researchers with substantial software resources for 3D visualisation and computer aided biodesign. Atum is one of the world’s most successful gene synthesis companies, and has provided free gene synthesis for the Cambridge iGEM team, and software and technical information for Synthetic Biology research. Atum have pioneered systematic optimisation of synthetic gene design and the development of commercial strategies for low cost sharing of IP-free DNA parts. The company is keen to extend its collaboration with the OpenPlant initiative to explore the implementation of open exchange models to promote longer-term innovation and commercialisation. GSK has a key interest in the engineering of plant-based metabolic pathways for the development of new synthetic chemistries. The company shares concerns about the impact of standard IP practices on companies’ freedom to operate in the synthetic biology field, and supports exploration of new models for open innovation. The OpenPlant initiative provides an opportunity for collaborative opportunities and wider engagement in discussion of the economic, legal and social implications of the technology. Microsoft Research hosts a major research effort in programming of biological systems, and has developed new software tools for assembly and modelling of DNA based circuits. Microsoft Research funds research projects and conferences in Synthetic Biology and will continue interactions throughout the OpenPlant network. In particular, the OpenPlant proposal will promote UK exchange of software tools and development of plant specific solutions. Plant systems can fix carbon, recycle oxygen and produce biomaterials. NASA is actively exploring synthetic biology as a means of engineering life support systems and sustainable, programmable production of biomass in man-made or extraterrestrial habitats. A number of areas are ripe for collaboration between NASA and the OpenPlant initiative, such as the engineering of Marchantia (related to extremophile liverworts that made the transition to land on Earth), and harnessing extremophile microbial systems. NASA-OpenPlant collaboration has much potential for recruitment of engineers and promotion of practical innovations. NIAB Innovation Farm is based in Cambridge, and showcases plant genetic innovation and provides free support and assistance for small to medium businesses in the East of England. The Innovation Farm translates innovation into commercial reality by improving links between researchers and businesses, stimulating growth and creating and safeguarding jobs. The OpenPlant Forum will provide a platform for promoting new economic models for exploitation of reprogrammed biological systems, and a framework for exploring the wider implications of potentially disruptive new technologies. In addition, the importance of foundational technologies, such as quantitative measurement, genetic design and trait engineering, can be made more accessible to non-scientists through demonstration in plants. The mission of the Organisation for Economic Co-operation and Development (OECD) is to promote policies that will improve the economic and social well-being of people around the world. The OECD recognises the potential impact of synthetic biology on the global economy and the move towards more sustainable production systems, and has been tracking the technology. The OECD has funded meetings and reports to survey the emerging field. The OpenPlant initiative contributes an important new perspective at the interface of synthetic biology and plant-based agriculture, and contribute to OECD policy analysis. The Sainsbury Laboratory favours daring, long-term research and has state of the art technologies and support services to enable cutting-edge science. Its main goals are to make fundamental discoveries in the science of plant-microbe interactions, and to deliver science solutions that reduce crop losses to important diseases. TSL has identified Synthetic Biology as a major new initiative, and established a new research group in this area, headed by Dr. Nicola Patron. TSL directly supports the OpenPlant proposal in the areas of synthetic biology, plant transformation and bioinformatics. The aims of the SAW Trust are to bring science into everyday lives and language, and to develop new ways of stimulating creativity, exploration and learning for children and adults. The Trust has developed programmes for interdisciplinary learning that are being run internationally, and will develop further projects in association with the OpenPlant initiative that embrace themes of plants, food, energy, bioproduction and sustainability for the future. The STIS group is based in the School of Social and Political studies at the University of Edinburgh. STIS is one of Europe’s leading centre’s for the study of science, technology and innovation in society, and a unit has specialised in the study of synthetic biology. Their work has been internationally recognised, with direct engagement with cutting edge science and practitioners, and covering issues of interdisciplinary, standardisation, design, intellectual property, open source and responsible innovation. Members of the STIS group will contribute directly to OpenPlant Forums, and act as advisors and organisers within the initiative. 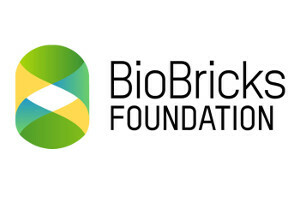 The BioBricks Foundation (BBF) is a non-profit organisation that is dedicated to ensuring that the engineering of biology is conducted in an open and ethical manner to benefit all people and the planet. It organises the SBX.0 series of international conferences on synthetic biology. The BBF has pioneered the development of legal tools to promote open exchange of materials and techniques, while managing rights required for commercial activity and investment. The BBF can contribute legal scholarship and technical expertise to the work of developing frameworks for more open property rights and responsible innovation in the UK. 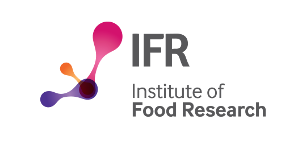 The BBF have also adopted an RFC process for propagation of engineering standards in synthetic biology, which OpenPlant members have contributed to. The OpenPlant Forums will provide a venue for collaboration in both of these areas. The University of East Anglia has a strong interest in synthetic biology, particularly in the areas of bioenergy and bioanalytical techniques. The University works closely with JIC through synergy posts, including Prof. Sarah O’Connor, joint PhD studentships and a recently formed £1.8M proof of concept fund. The OpenPlant proposal is an opportunity to further support and pursue wider collaborations. The Science and Technology Innovation Program (STIP) at the Woodrow Wilson International Center for Scholars has been examining governance issues and the responsible development of synthetic biology. Collaboration with the OpenPlant initiative would bring a US perspective to a broad array of best practices as it relates to plant synthetic biology. There are a number of areas for interaction including: creation of a research agenda for the ecological implications of synthetic biology as part of an NSF-funded program; contribution to an international effort to foster responsible governance in synthetic biology (SYN-ENERGENE); projects to examine impact of synthetic biology on biodiversity and development of risk management strategies for synthetic biology start-up companies. The collaboration would provide a key new opportunity for UK-US exchange in policy development for innovation, governance and conservation.